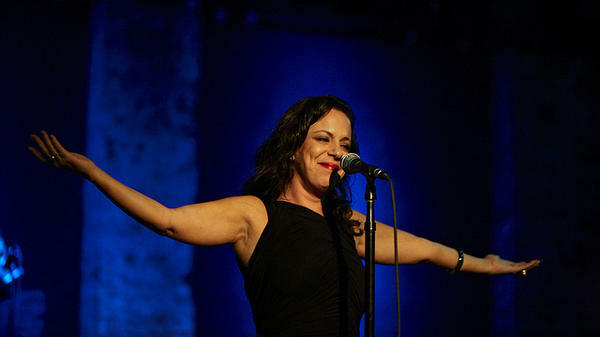 Bebel Gilberto performs at City Winery in New York City. This installment of the Latin Roots series for World Cafe explores bossa nova music, guided by Latin-music expert Ernesto Lechner. Lechner grew up in Buenos Aires, where his parents' record collection consisted of classical records and a solitary bossa nova LP. He later moved to Los Angeles, where he was immersed in Latin music and subsequently became a music journalist, publishing several books on the subject. Lechner co-hosts the radio show Latin Alternative and works as a contributing writer for Rolling Stone, L.A. Times and Chicago Tribune. He's also the author of Rock en Espanol: The Latin Alternative Rock Explosion. Here, Lechner joins World Cafe host David Dye to explore bossa nova — including the origins, influences and musical components of this popular style of Brazilian music. Bossa nova originated in Brazil in the late '50s, when a new generation of musicians, fascinated with American jazz, combined it with samba. Lechner shares two bossa nova tracks to give a sense of the genre: "Samba De Uma Nota So" by Silvia Telles and "So Nice (Summer Samba)" by Bebel Gilberto from the album Tanto Tempo. Listen to Ernesto Lechner's essential bossa nova playlist on Spotify. This story originally ran on June 14, 2012.